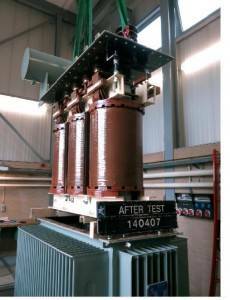 Dielectric Strength of Transformer Insulating Oil - ! Equipment for Transformer Oil Reclamation. GlobeCore. 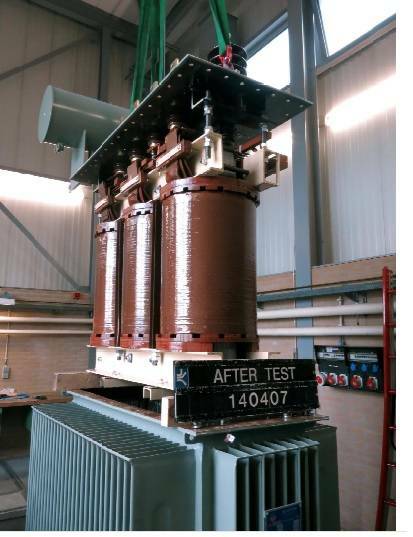 The Dielectric Strength of transformer oil is very important since it is essential in maintaining the reliable operation of power transformers. The dielectric strength of transformer oil is mainly determined by the presence of acids, water, and other contaminates. It is therefore, important to keep the transformer oil as free from such contaminates as possible. The dielectric strength of the oil will decrease with time and based on the service conditions where the transformer is located. The Dielectric strength of oil is extremely sensitive to hydration or introduction of water and moisture. Under the action of the electric field of the emulsified oil, droplets of water are drawn to places where the field strength is particularly high. This process begins the process of oil breakdown. There can be an even more dramatic reduction of dielectric strength when the oil becomes contaminated by other impurities other than water such as acids and particulate matter. Some particulate matter, in the form of fibers, can become arranged in the form of lines known as “lines of force.” Under the influence of the field forces, the wet fibers are not only drawn into places where the field is stronger, but become arranged in a way that greatly facilitates the breakdown of the transformer oil. The Dielectric strength of transformer oil is also known as the breakdown voltage of the transformer oil. “Breakdown Voltage” (BDV) is measured by observing the voltage that is required to jump a spark between two electrodes immersed in the oil separated by a specific gap or distance. Also known as the sparking strength, the higher the voltage required to jump the spark, the higher the BDV will be in the oil. The lower the voltage required to jump the spark, the BDV will be lower indicating the presence of moisture content and other conducting substances in the oil. Clean oil with a low moisture content gives higher BDV results than oil with high moisture content and other conducting impurities. A rating of 30 kV is the minimum breakdown voltage at which transformer oil can be safely used in a power transformer. Dielectric strength of oils is also determined by the dielectric loss tangent or “Tan Delta.” As stated above, dielectric strength of transformer oil is mainly determined by the presence of acids, water, and other contaminates in the oil. Another important factor in oil performance, is the low temperature “pour point.” A low temperature pour point of -45°C and below is necessary for allowing oil to flow at extremely cold temperatures. Dissolving paints in the transformer oil, that usually lead to sharp increase of acid number. acids, sparingly soluble in oil, tar, asphalt and other products of oxidation. Dielectric losses for fresh oils characterize the quality and the degree of purification at the factory where the oil was blended, and in operation, it indicates the degree of pollution and oil aging. The presence of water in the oil increases dielectric loss and attaches U-shaped forms in dependence on tgδ temperature (temperature at least 50°C). There is a threshold concentration of water in the oil for a given temperature and relative air humidity above which tgδ greatly increases.